Stock up on eye makeup thanks a new B1G1 Revlon coupon available today. 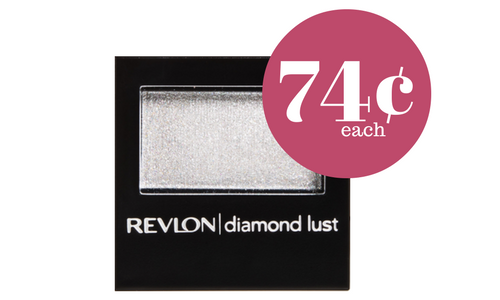 You can get 4 Revlon eye shadows for only 74¢ each at CVS! To get the deal, you’ll need to check your CVS coupons at the Coupon Center for a $3 off Cosmetics coupon. If you don’t have that coupon, you can get eye shadow for $1.49 each after ECB. like getting them for 74¢ each!